I don't know precisely when progressives in this country gave up on free trade. Because when they did, without perhaps even realizing it, they turned their backs on the developing world. In the 1960s, President Kennedy outlined a global vision based on the premise that a "rising tide lifts all boats." And lift it did. In the last 15 years alone, global trade has helped to lift 400 million people out of poverty around the world. Yet, when it comes to boosting living standards in places like Colombia and Panama, we hear hardly a peep from progressives. These stalled trade deals would improve economic and humanitarian conditions in those countries while helping U.S. companies, including many consumer electronics and technology companies, access new markets. The last 15 years are proof of that. I am optimistic that President Obama gets it. In recent days, He sees the link between our economic prosperity and open markets. In an op-ed for the Chicago Tribune, he wrote, "Once and for all, we have learned that the success of the American economy is inextricably linked to the global economy. There is no line between action that restores growth within our borders and action that supports it beyond." Now he can back up those words with action. Our President must rebuff protectionists within his party who, in their well-intentioned zeal to insulate U.S. jobs from competition, are actually harming American workers by denying them access to 21st Century jobs and opportunities. And he must take his knocks from world leaders who will, rightly, question why the country that is based on the fundamental principles of capitalism, competition and innovation has resorted to trillions of dollars in bailouts and subsidies. But most importantly, President Obama must be the champion of free trade and ensuring that open markets continue to "lift all boats." In isolated regions of the world, technology can be the difference between life and death, prosperity or squalor. These countries need trade to access technology to keep people alive. What is more a progressive goal than life itself? Through health-care kiosks and telemedicine sites, the people of rural India gain access to doctors and even specialists. In a country with five times fewer doctors than the United States, the ability to use technology to communicate with a doctor is transformational. And in remote regions in Africa, SMS messaging is vital for commerce. Launched with fruit and vegetable exporters in Burkina Faso and Mali in 2006, the "Trade at Hand" initiative uses mobile phones to send a daily SMS message to exporters in developing economies with the day's product prices on international markets. These messages give exporters information to react to demand and negotiate prices. Helping developing countries means we do well by doing good. When new industries develop in emerging countries, they rely on the technological expertise of U.S. companies to help them achieve their goals. And when billions of people achieve prosperity, they demand of their governments political reforms that stabilize their countries and lead to more peaceful resolutions of disputes. International trade exposes developing companies to new technologies, communications and democratic ideas. Progressives in the United States have a rich history of looking beyond themselves to try to help the world. In recent years, they seem to have lost their way on trade issues. Hopefully, with a President they trust, they can once again lead the United States to policies that build bridges around the world instead of putting up protectionist walls. 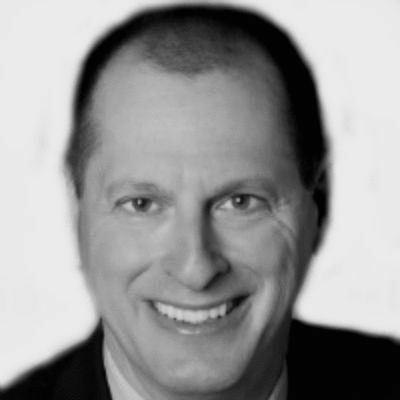 Gary Shapiro is the president and CEO of the Consumer Electronics Association.